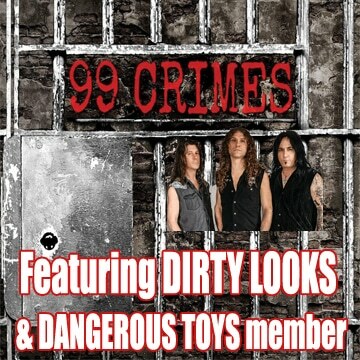 Kickin Valentina performed with their new (ex-Jetboy) lead vocalist D.K. 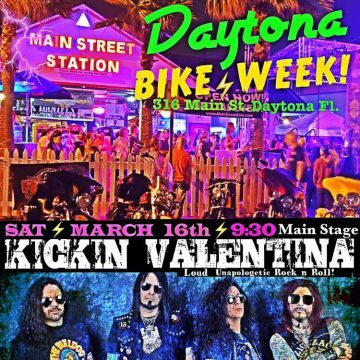 Revelle at the Daytona Bike Week at Main Street Station in Daytona, Florida, USA on March 16, 2019 and played some new material. Back in January 2019, Kickin Valentina announced that Revelle would be their new singer after a short run with lead vocalist Brian Bezotte who replaced original lead vocalist Joe Edwards who was kicked out of the band in July 2018. 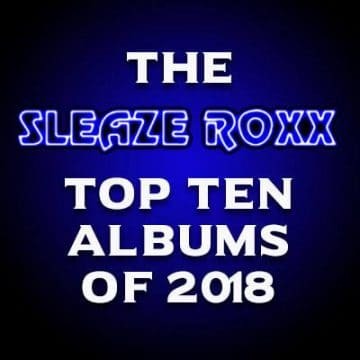 Kickin Valentina have released the albums Kickin Valentina (2013), Super Atomic (2015) and Imaginary Creatures (2017) with Edwards on lead vocals.